In the last month of my pregnancy, the topic of what to do with my placenta after giving birth came up during a conversation I had with my mother-in-law. She thought it would be best if I’d take the placenta home, where she’d process it into powder, and I could then mix that powder with water, to drink as a health potion. My mother-in-law believed the placenta to be extremely nutritious, and therefore essential to my after-birth recovery. I wasn’t keen at all on the idea of eating (or drinking) my placenta. Luckily, my mother-in-law accepted that I have my own foreign way of dealing with such things, so she didn’t push the issue. 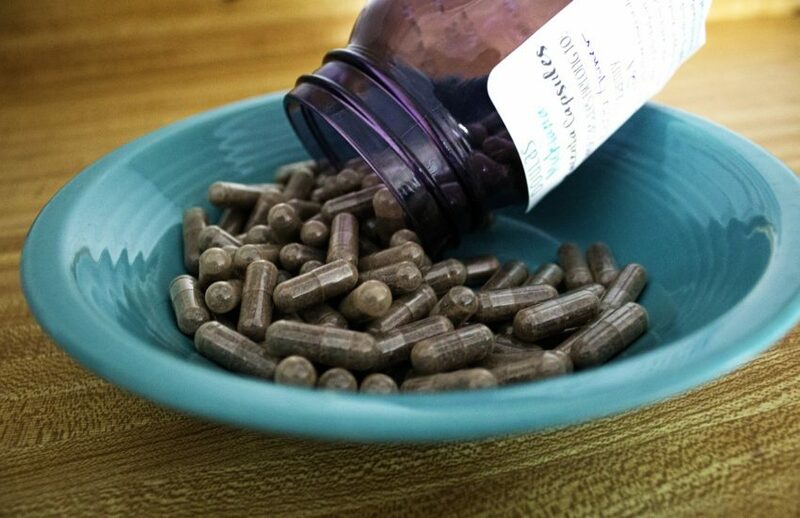 However, she also didn’t want to waste what she believed to be the holy grail of all super foods, so she quickly decided that I should take the placenta home anyway, and she would take the powder as her daily health potion. With her climbing age, she was having more and more minor health issues. A little placenta powder would work magic there, she believed. That she didn’t know how to turn a placenta into powder was not an issue. She knew an old lady who knows these kinds of things, who would explain it all once the time came. My placenta… or is it? The hospital asked in advance if we wanted to take the placenta home, and they refrigerated it after I gave birth. We got it upon leaving the hospital. When we drove away and just turned onto the main road, with our new baby boy in the car seat and the placenta in a plastic bag, a nurse called, asking if I could please check the bag: she suspected that they’d given me the wrong placenta. A quick check confirmed this: a neatly printed sticker indicated that we were bringing home the placenta that had once been part of a Ms Liu. So we made a quick U-turn and when we got back to the hospital the nurse was waiting at the main entrance with another bag, apologising profusely. When we got home with my very own placenta, it turned out that my mother-in-law had changed her mind. When she asked the old lady how exactly to make the powder, she mentioned that it wouldn’t be me consuming it, but herself. The old lady then warned her that if it wasn’t the mother herself drinking the potion to speed up after-birth recovery, one should only drink placenta-potion if the person in question was actually ill. An overall healthy person with minor ageing problems shouldn’t take something as powerful as a placenta. So my mother-in-law decided to just stick with the multivitamins for seniors I brought her from Europe. But we’d already brought the placenta back home, so what to do with it now? My grandparents used to have a large backyard with a big chestnut tree. Way back in the days, when my mother was born, people sometimes used to take the placenta home and bury it under a tree. Perhaps because they didn’t want to throw away what had once been a vital source of life to the newborn, or because it would make a good fertilizer, I’m not sure. But the placentas of my mother and some of her siblings were buried under that tree. So when my mother-in-law didn’t know what to do with it, I suggested we just bury it in the courtyard. And so she did. A couple of months after my baby was born, my mother-in-law planted two persimmon trees in the courtyard. One right where my placenta was buried, and one a couple meters from there. It’s a few months later now, and the tree that’s been planted on my placenta hasn’t grown at all. The other tree, on the contrary, is growing really well. My mother-in-law, naturally, blames my placenta. Judith came to China first in 2005 and lived in Beijing and Wuhan from 2012-2017. She returned to her home country The Netherlands in early 2018, where she currently lives with her Beijing husband and their baby boy. On WWAM BAM she blogs about their life as a half-Chinese family in Europe. She also keeps a personal blog on www.judithinchina.com (in Dutch). When is the right time to let your child travel to Asia on his own? Haha, this is such a funny little story! I have no idea what the tradition is back in Sweden, and no idea what my mil plans to do with it when the time comes. My American friend took hers as pills after her 3rd pregnancy and said she felt much better emotionally than the first two! Pingback: How China's one child policy is affecting my family life in Europe | WWAM Bam!